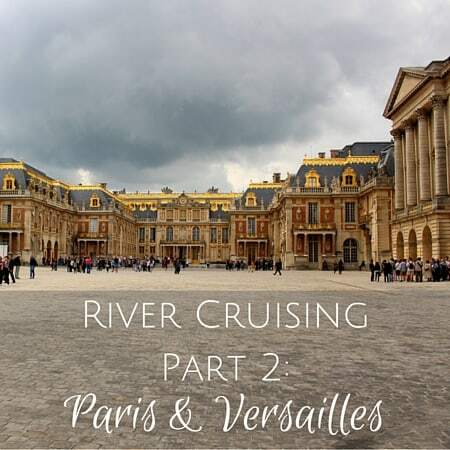 Curious about the Loire France river cruise and the MS Loire Princesse? 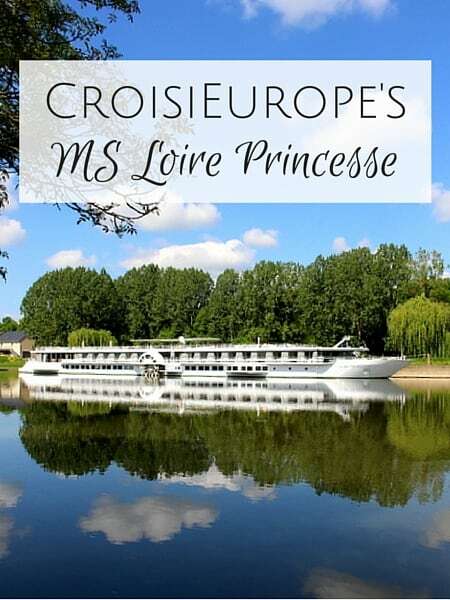 On Sunday morning before we headed to Tom’s parents’ house in Angers for lunch, we stopped in Bouchemaine to get a closer look at the MS Loire Princesse. The new ship did not disappoint. 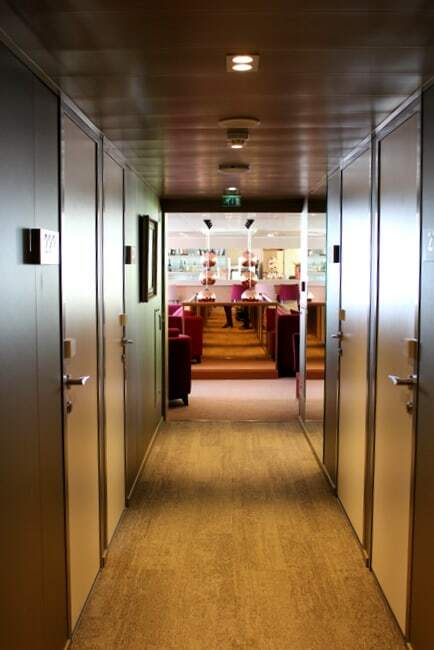 A member of the team named Pedro welcomed us aboard and it took all of 30 seconds for us to see that the ship’s interior was just as attractive as its exterior. Modern with an abundance of natural light pouring in, Tom and I made our way around the docked ship and started up top on the sun deck… the passengers were out on an excursion so we had the ship to ourselves. 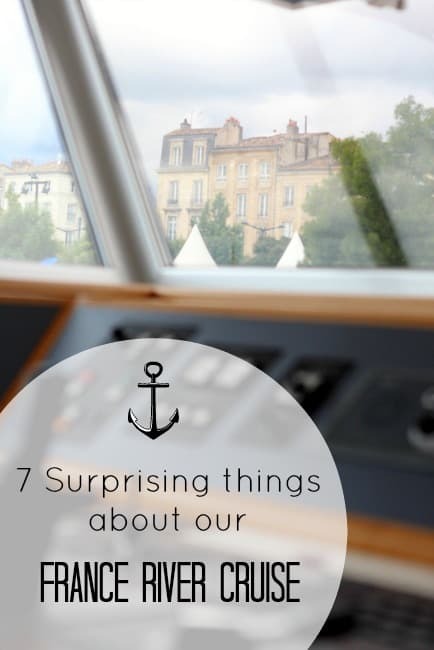 The sleek ship can accommodate 96 passengers and 24 crew and was built in nearby St. Nazaire at STX, where the biggest boat in the world just set sail. 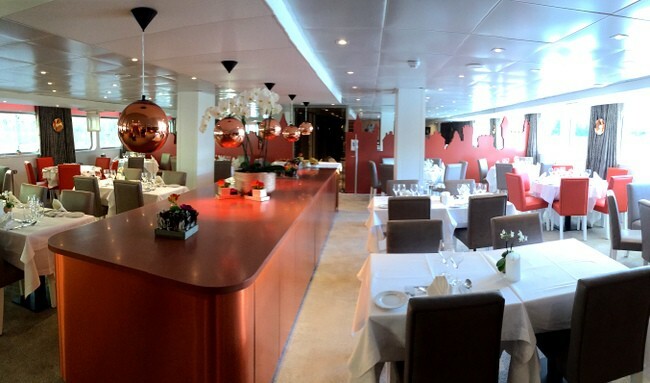 The MS Loire Princesse was put into service in April of 2015 and is 90 meters long and about 15 meters wide. One feature you’ll notice right away is the giant paddle wheel on either side that helps power the hi-tech vessel. Paddle steamers of days past inspired the ship’s design. There are 30 upper deck double-occupancy cabins with their own private balcony and 18 main deck double-occupancy cabins all with gorgeous tiled bathrooms, flat-screen TVs, and a ton of natural light. 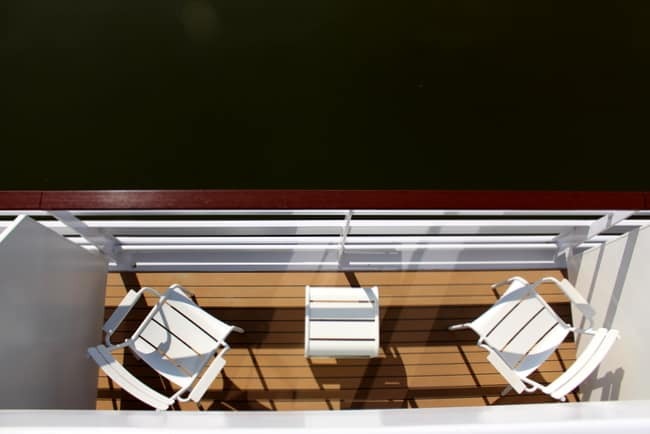 The balconies have two chairs and a small table so you can take a load off with a cool beverage in hand while taking in the sights on the river. And if you’re in a cabin without a balcony, head up to the sun deck and relax on a lounge chair with some of the other passengers. Take note that if you’re someone who hates being hot, there’s air conditioning throughout the ship. And let’s not forget the free Wi-Fi so you can stay connected at all times. When it’s time to socialize or grab a drink, head up to the lounge. 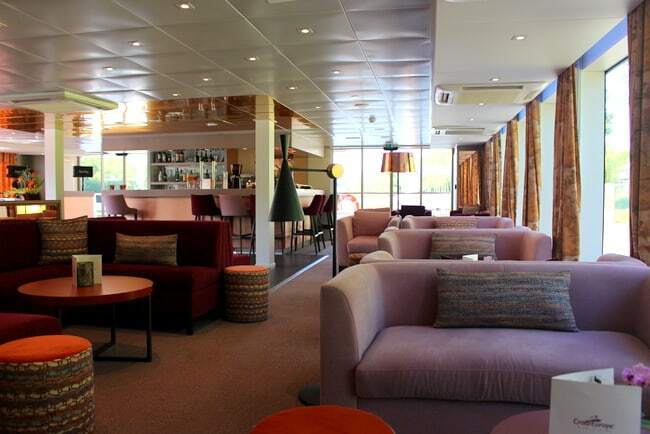 The ship has a lounge/bar area with windows lining both sides. You can pull up a seat at the bar or relax on one of the comfy couches. When it’s time to eat, the guests make their way downstairs to the restaurant on the lower level. 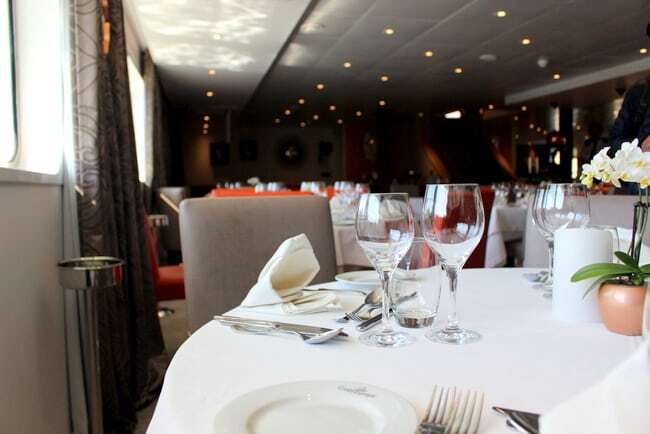 It can accommodate all passengers in one sitting and all meals are included with the cruise. 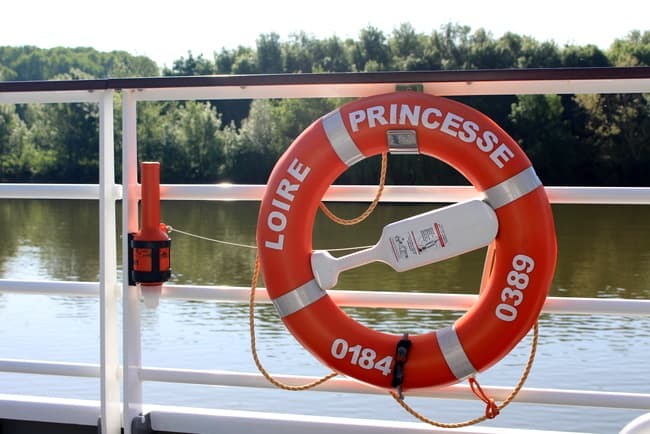 Where does the MS Loire Princesse cruise? 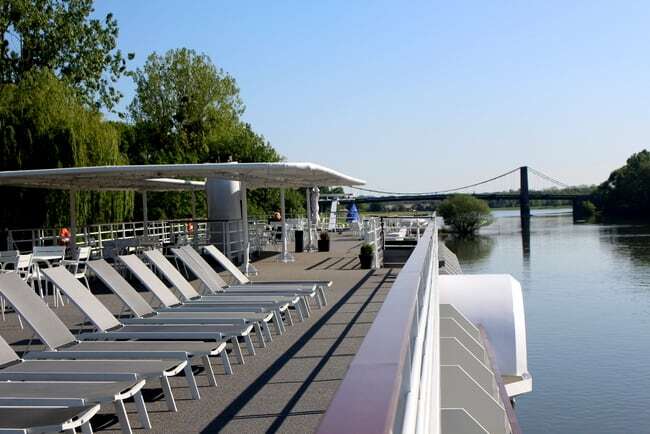 The MS Loire Princesse leisurely takes cruisers from St. Nazaire to Angers with several stops in between — including Nantes — along the Loire River, which is France’s longest river. 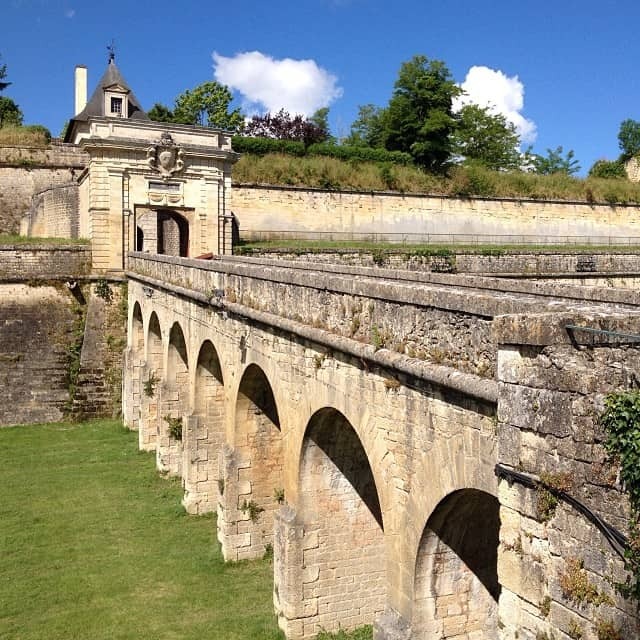 There are a few different France river cruise options ranging from 6 to 8 days where you’ll discover castles of the Loire, the Muscadet wine region, and more. 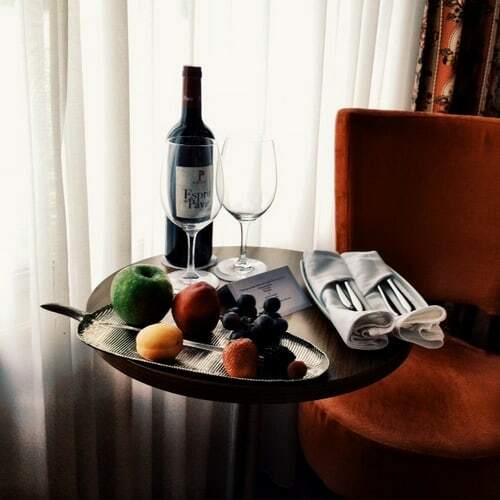 The cruise is also an easy add-on if you’re spending time in Paris. 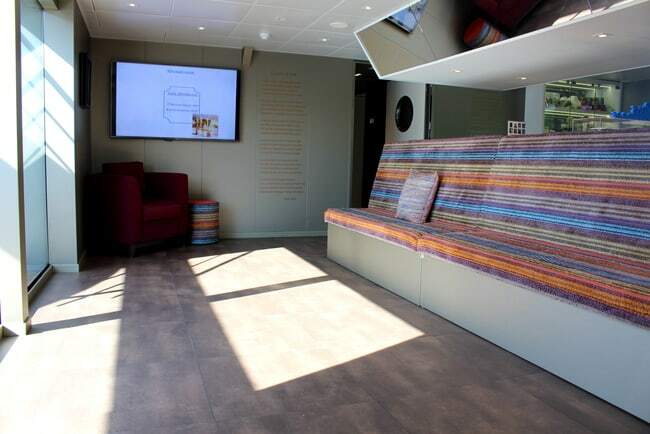 With the Nantes TGV station an easy ride away as well as the Nantes airport, the cruise is a nice way to see more than just Paris the next time you’re in France. What about the cruisers? About 50% of the passengers are French and the rest hail from all over including Germany, Australia, the US and more. Both French and English are spoken on board, and judging from the fact that the cruise is sold out for the remainder of the year, I’d say CroisiEurope has created something good. 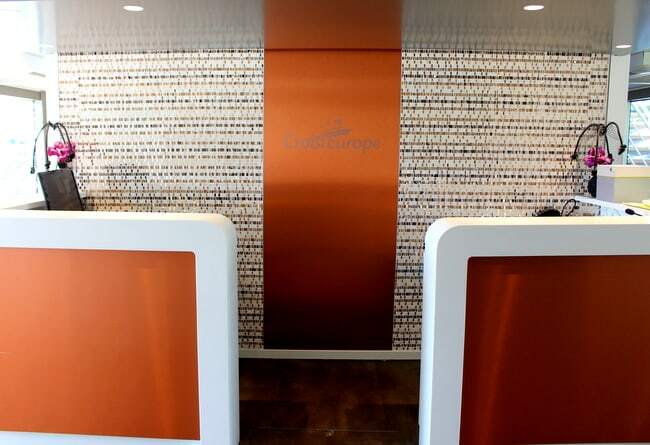 You can head over to the CroisiEurope website to find out more about the actual cruise and stops along the way. What do you think? 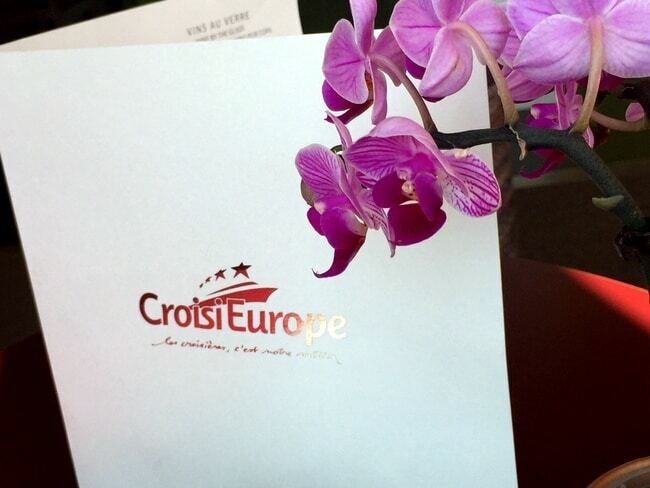 Thanks to CroisiEurope for letting us come on board! 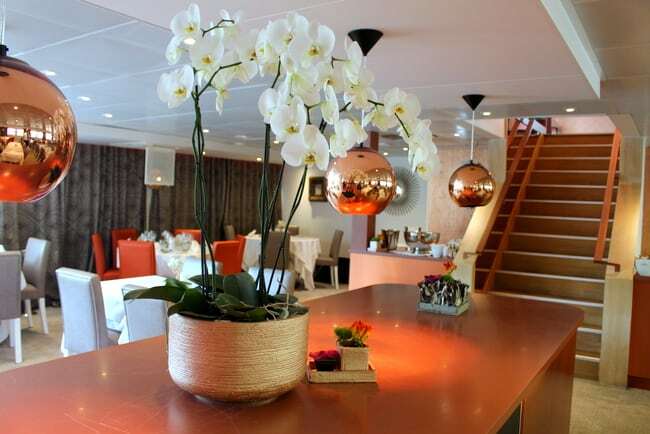 Ever cruised with CroisiEurope or another France river cruise company? Would you? I’m not a boat or cruise person, but this looks very nice. I am surprised at how big it is. We are by the Canal du Midi, so we see lots of boats, but they have to be small enough to fit in the 17th century locks. Wow: What a fabulous looking ship to cruise on! 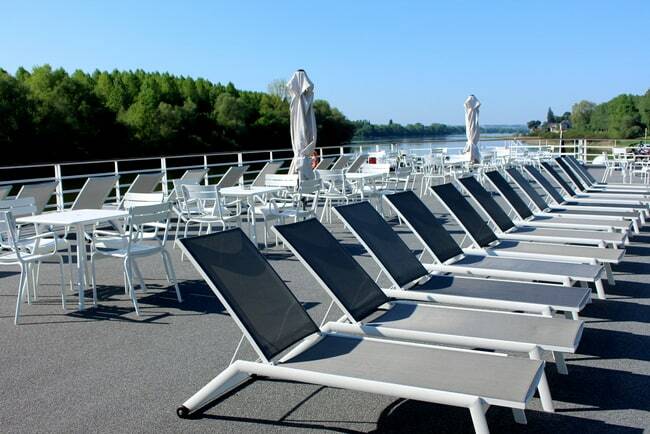 I am surprised that there is a cruise like this on the Loire. I really like this part of France and I think seeing this area from the water instead of land may be in my future plans. Thank you so much for making me aware of this option. I am heading over to their website for a peek. The boat really is stunning and the cruise looks like a lot of fun. Check it out! Wow … this is beautiful and certainly something I would consider giving a go! It seems like it would be a relaxing trip and I particularly like the smaller passenger size than many of the cruise lines I have been on in the past. The exterior of the ship reminds me of days gone by, with its paddle wheel, while the inside is chic. 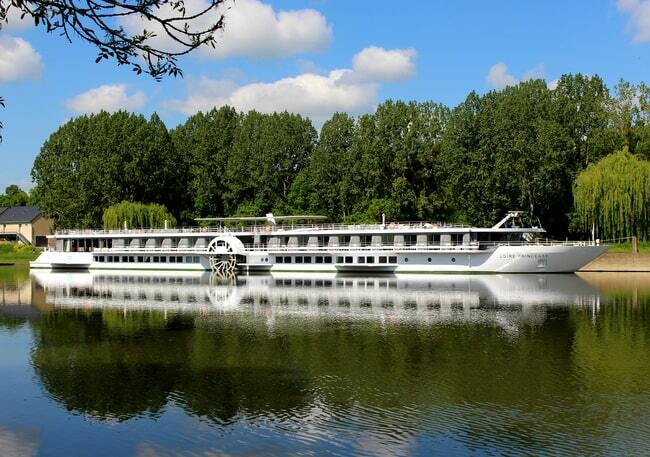 Up to now, I hadn’t thought about river cruising, but you opened my eyes to the potential Diane. 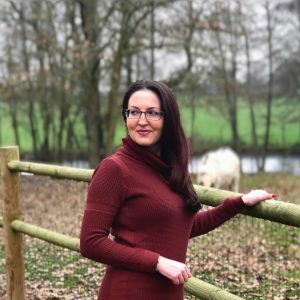 Love the post and your pictures! It really is a very special ship. 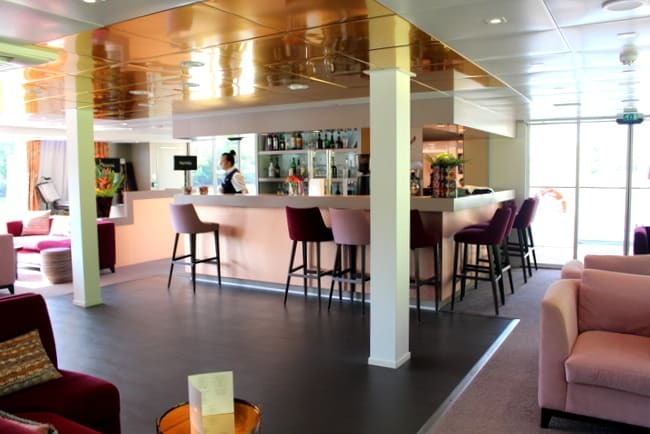 River cruises are a lot of fun so if you ever find yourself over this way, definitely look into it! Thank you! Yes it’s really a nice-looking ship!